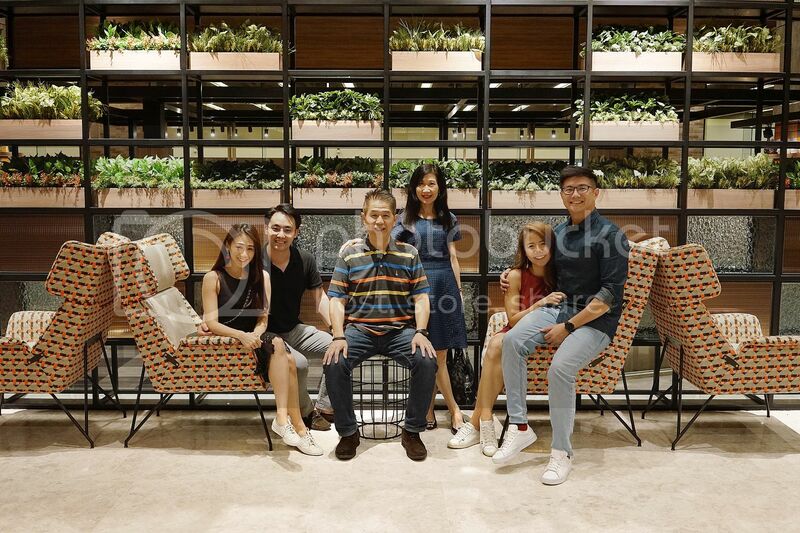 Brought the family to Hotel Jen for dinner last Friday after work. There was no better way to wind down after a long work week and feast our hearts away at Hotel Jen's newly launched themed buffet! 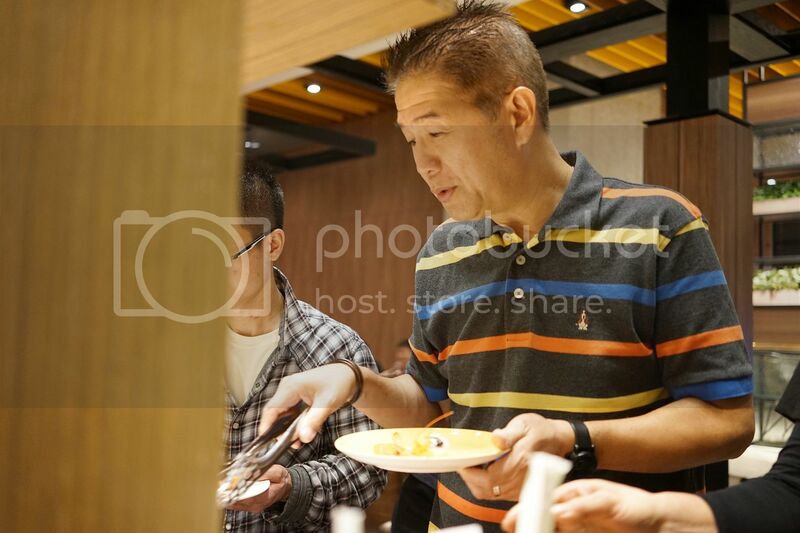 There are 5 new themed buffets weekly at J65 Hotel Jen Tanglin Singapore!! How exciting is that? 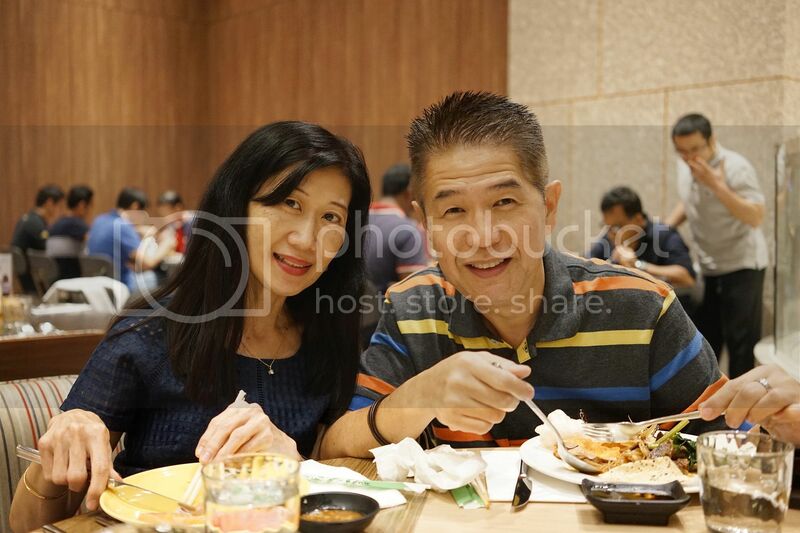 all the more we can go back for more, no excuses needed for buffets; just what Alvin and my Dad are happy about! They love their buffets! 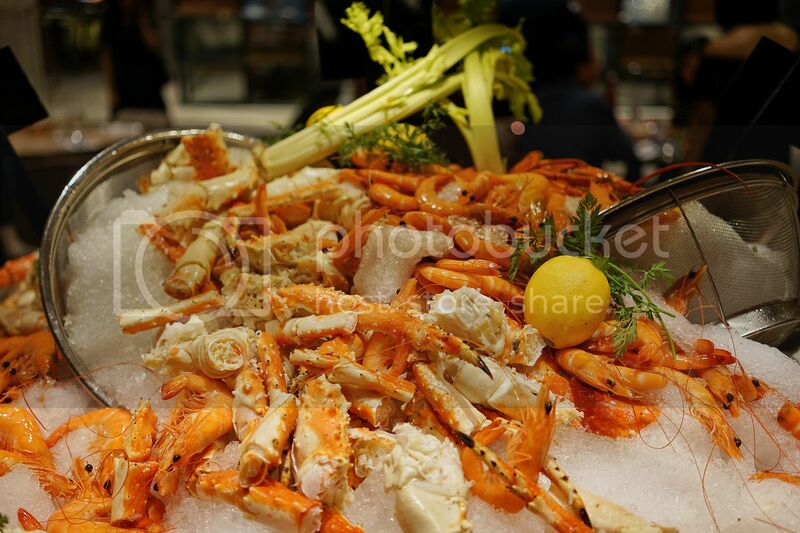 It was Seafood Mania on Friday so we were greeted with huge selection of seafood from Alaskan Crab, Mud Crab, Boston Lobster, fresh prawns, mussels and clams including a solo station of fresh oysters from Australia. 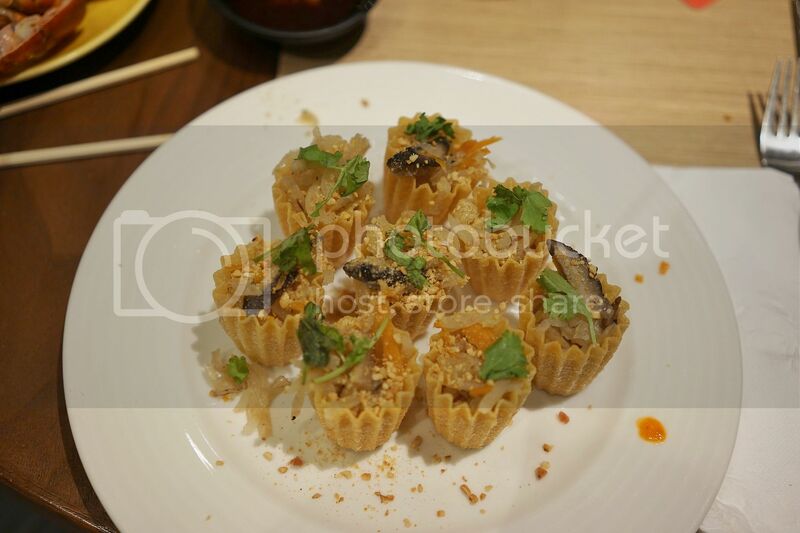 On the hot stations you will be further spoiled for seafood in many ways from Asian cuisine to western. The men attacking the crabs and prawns! And this is my first station- DIY Rojak yum! 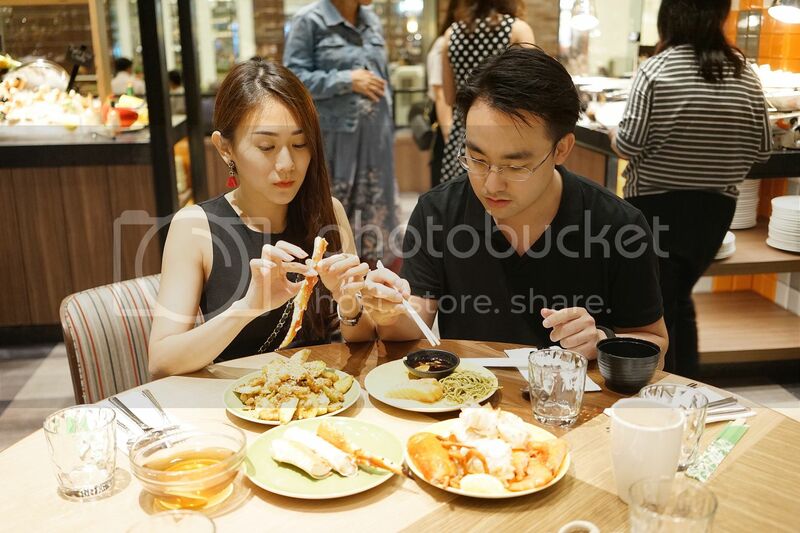 I don't usually order rojak cause they are not too healthy so I always attack them when I dine at Hotel Jen! I made kueh pie tee for the fam! You can tell that I really love the DIY stations! Just 1 flight of stairs down to roasted happiness! 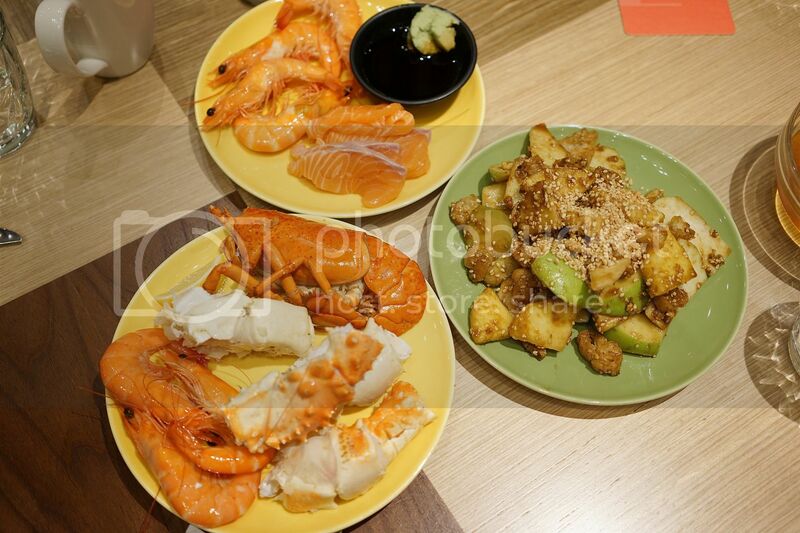 Never have to decide chicken, duck, roast pork or char siew cause we can have a little of everything here! 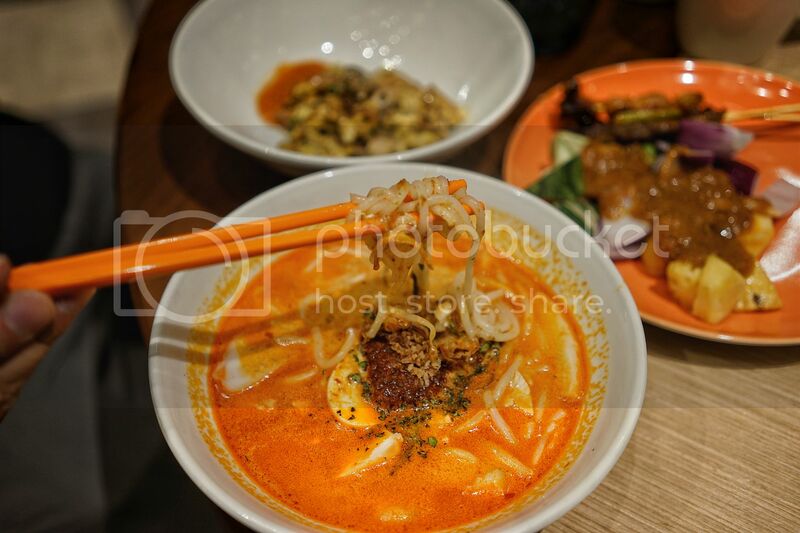 Love picking his own choice of noodles for his laksa! There was freshly grilled satay oh yum! Situation back at the table! At the corner is Egg oyster omelette! 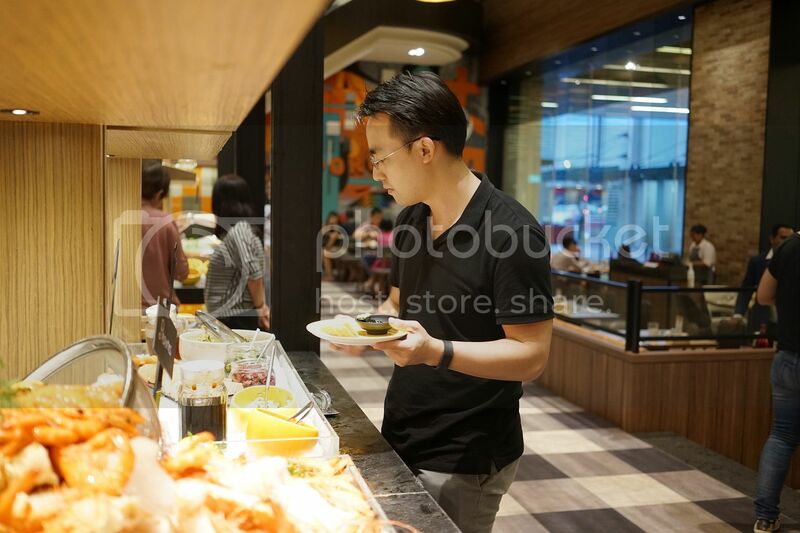 This is my first time having it at Hotel Jen, please keep that on the buffet line! It's really good! The batch I got was the best, fried brown but Zonia and my mom had the next batch which was whiter, remember to tell chef to fry it longer if you like it a little more charred like how I enjoy mine! 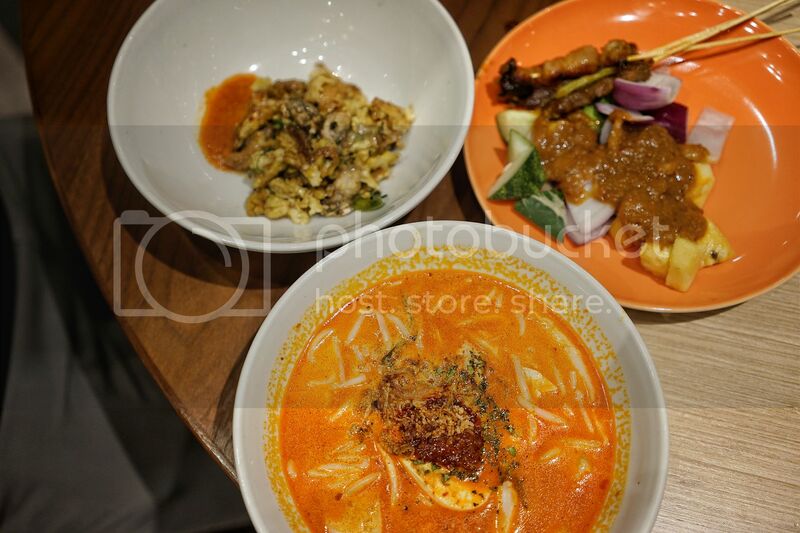 The laksa is good! The 3 men at the table had 1 bowl each and they whipped it clean! If I had belly space, I would have gotten 1 with mee kia which was recommended by Juliana, she said it was extra good with the laksa gravy! Next time, Ju!! I will come back for it! Kept the tummy for desserts. Always impressed with the desserts line! 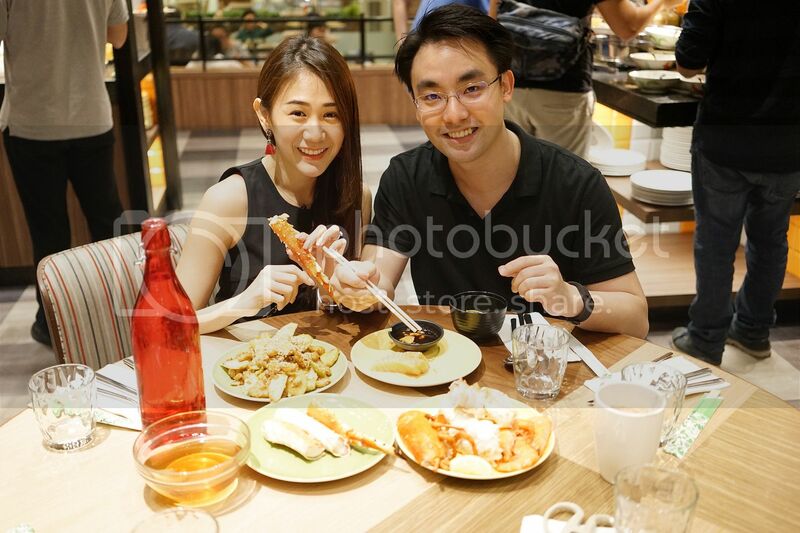 It was Jason's first time at J65 and he was amazed with the variety of desserts! He even thought it was a Friday Desserts Special, but no, Jason, every day the desserts line look this wonderful! 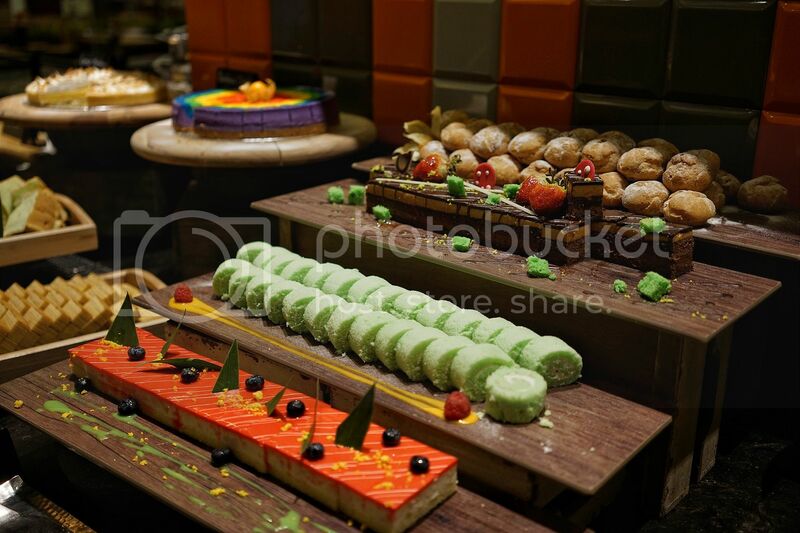 I had walked to the desserts line to check out the desserts before I even started dinner and was looking forward to Durian Pengat!! I love my durian! 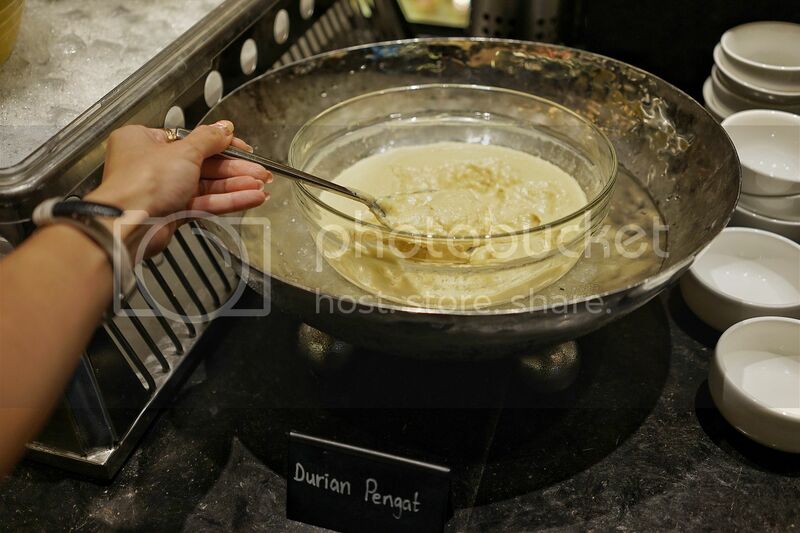 The first bowl I had was a little too watery and sweet but I decided to give the second durian pengat batch another try and omg, it was thicker, rich and slightly bitter! So I had 2 bowls! 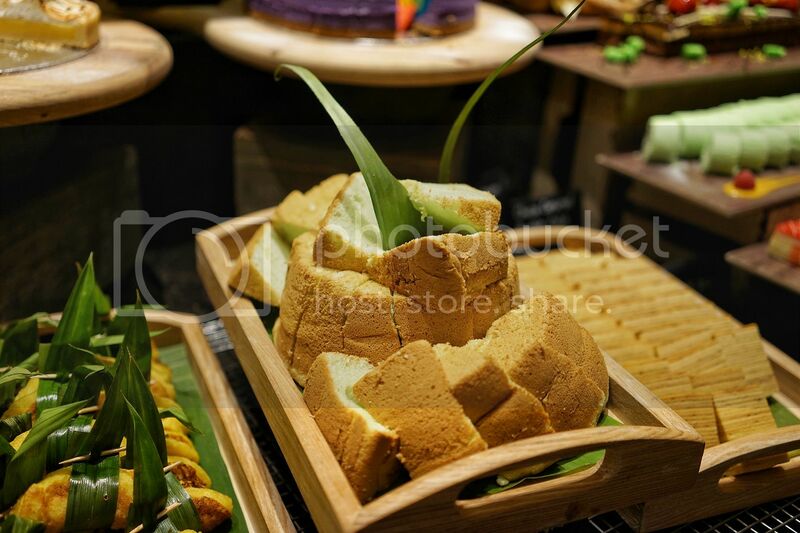 Everyone's favorite soft pandan chiffon cake! 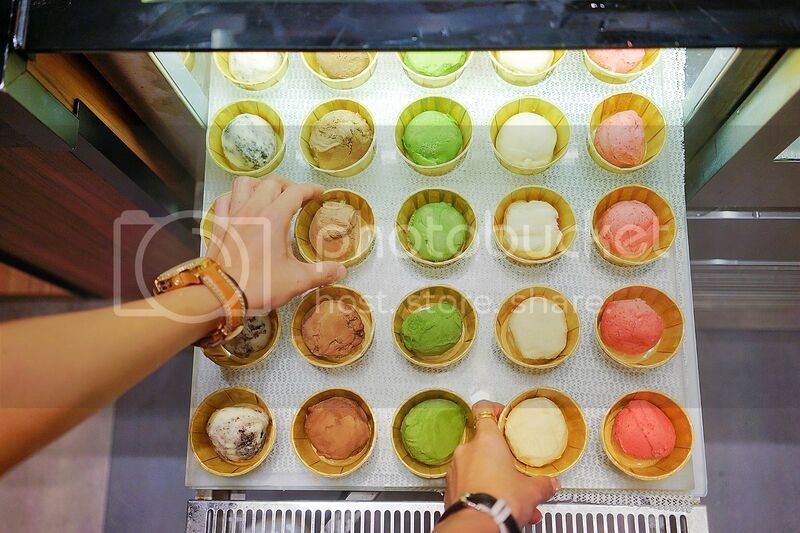 Potong ice cream in cute little cups! Not guilty for having more than 1 since it's so small! 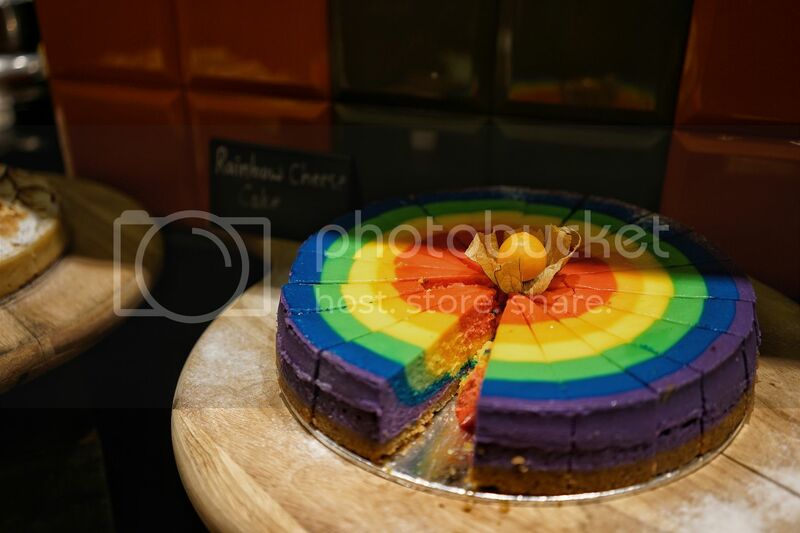 Love this dessert presentation! 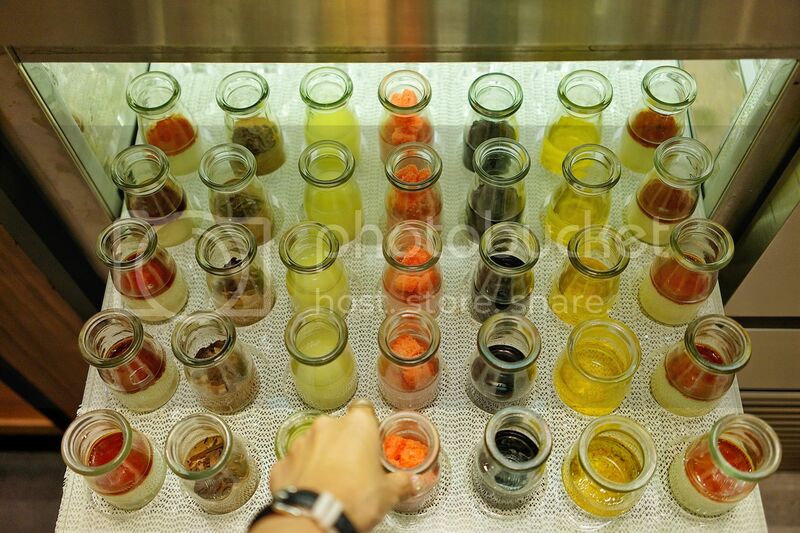 There's a mixture of mousse and jelly desserts in these jars. Love and I shared the black one which was actually Herbal Jelly! 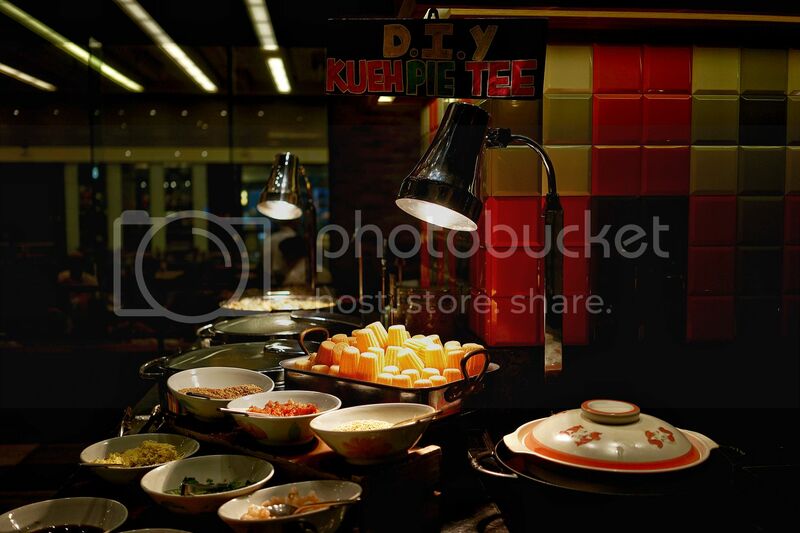 It was a really enjoyable evening and we are already looking forward to going back to try out the other themed buffets. 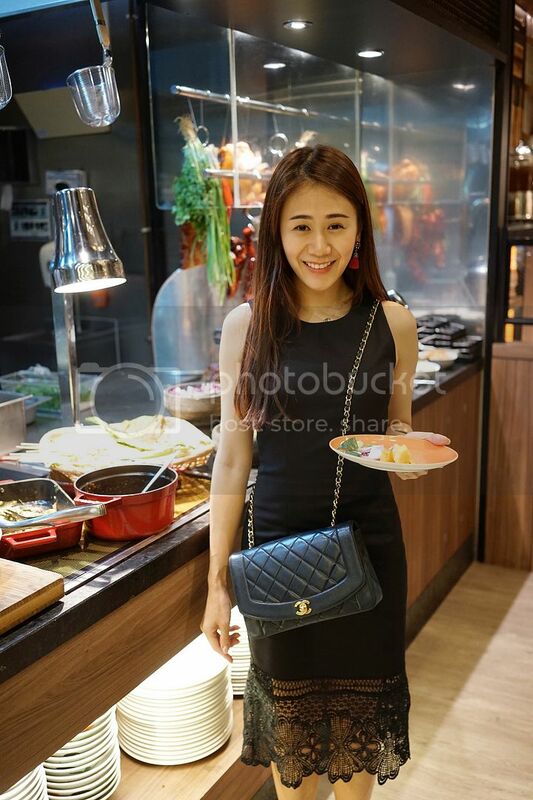 The team at J65, the all-day-dining restaurant at Hotel Jen Tanglin has just re-engineered their buffet dinner to five weekly themed spread promising variety, freshness, quality and taste to keep you spoilt for choice and yet craving for more from now till May 2017. 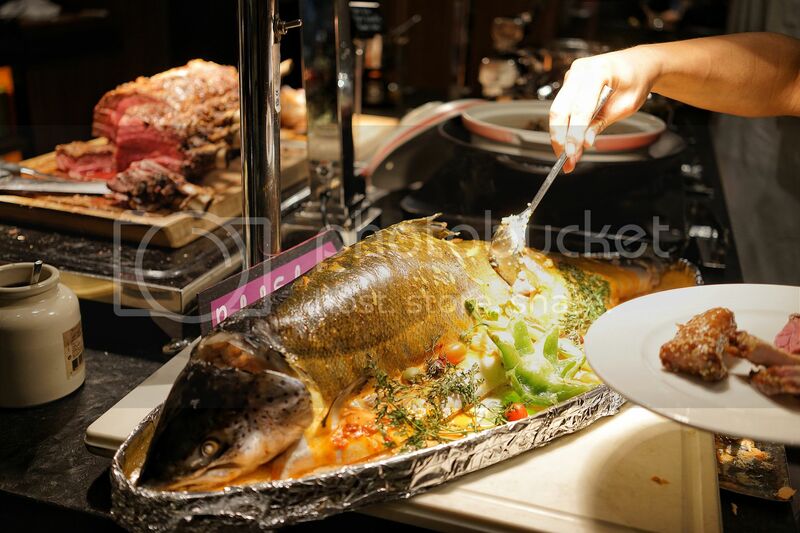 The themes include International nights to Asian flavours to Lobster frenzy to live barbecues and seafood galore; each with its unique experience. 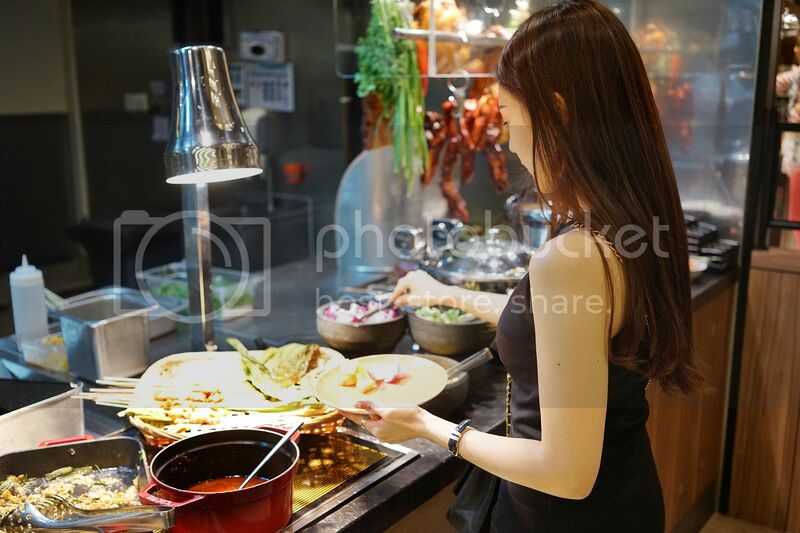 On Tuesdays, look forward to the “Colours of Asia” Buffet with specialties from various Asian countries from home favourites to Malaysian, Indian, Sri Lankan, Chinese, Indonesian, Thailand and many more. 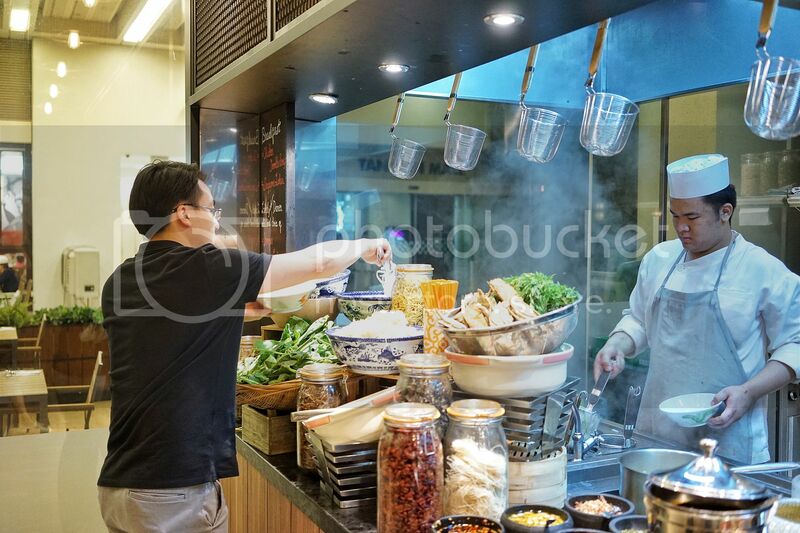 Don’t miss the extended buffet at the alfresco (outdoor) stations of “Teh-Tarik”, the live whirling and twirling of “Roti Canai” to indoor live-kitchen churning out Tandoors to Laksa and soups…On the main, look out for the Indonesian Oxtail rendang, Thai steamed fish and many more. 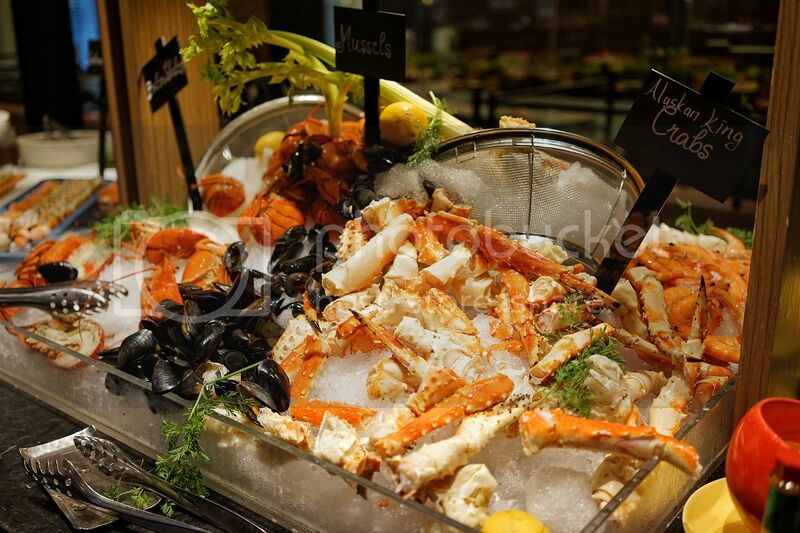 On Wednesdays, its “Lobster Rock-n-Roll” and it’s all about Lobster from Boston Lobsters to Mountain Lobsters to Slipper Lobsters; everywhere and anywhere on the buffet from the ice bar for the natural flavour to the baked, curried, stir-fried, grilled, paella, etc from soups to salads to mains. On Thursdays, it’s the “Live Barbecue” night. 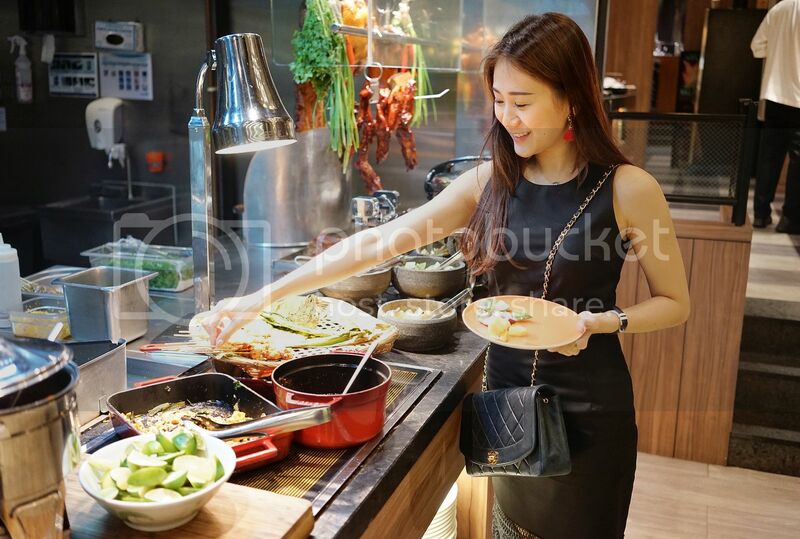 The alfresco stations is the barbecue pit for you to pick your favourite meats or seafood and not to miss the famous Korean Bulgogi of pork belly and beef ribs. 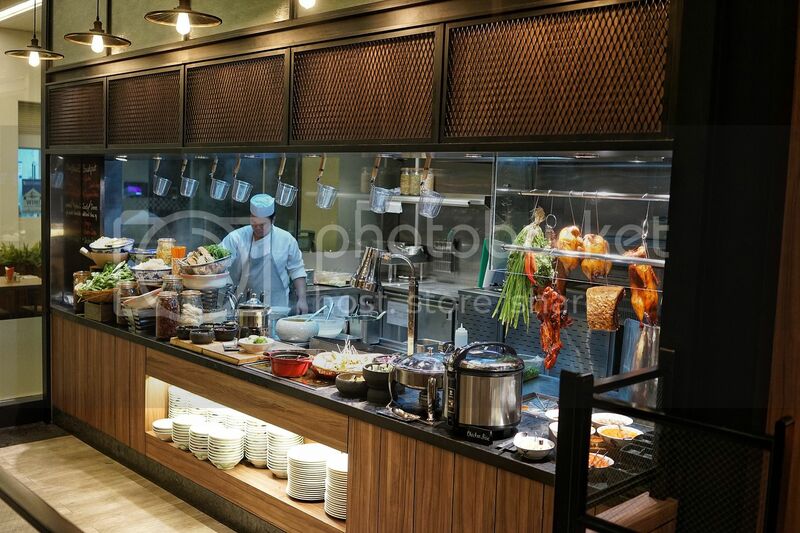 On the buffet you will find a variety of hot dishes from Champagne pork ribs to Prawn Masala to Black Pepper Crab to name a few. 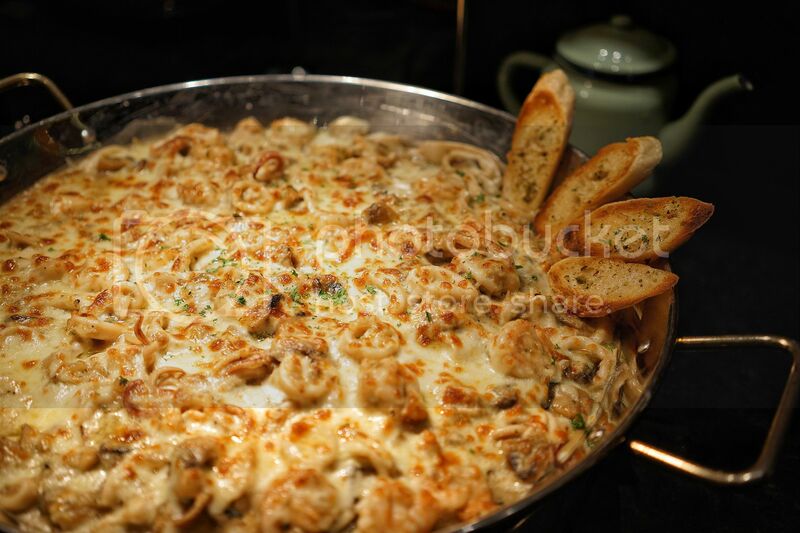 And lastly Saturdays it’s “Seafood Mania” which is the same as Friday's! 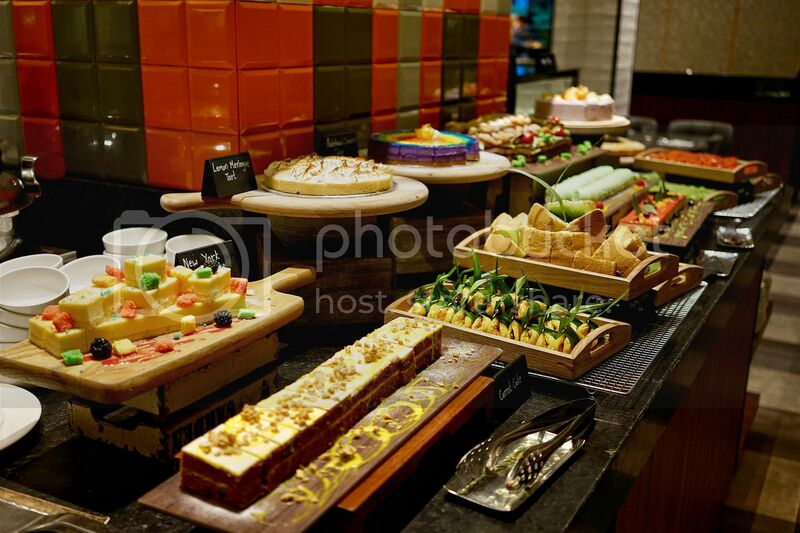 All buffets are accompanied with a wide selection of salads and a tempting array of desserts both local and international. 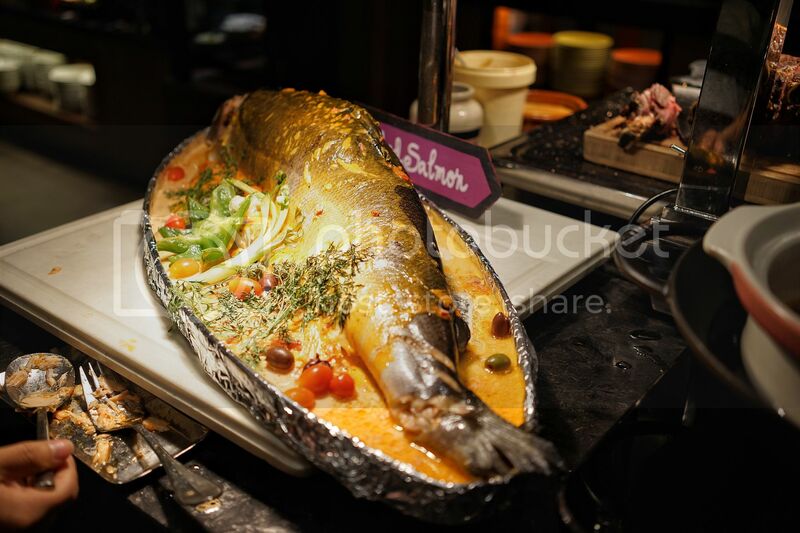 The above themed are priced competitively at SGD55++ per person from Sundays to Tuesdays and SGD65++ from Wednesdays to Saturdays. Enjoy special introductory discount when you book online via hoteljen.com/bookJ65. 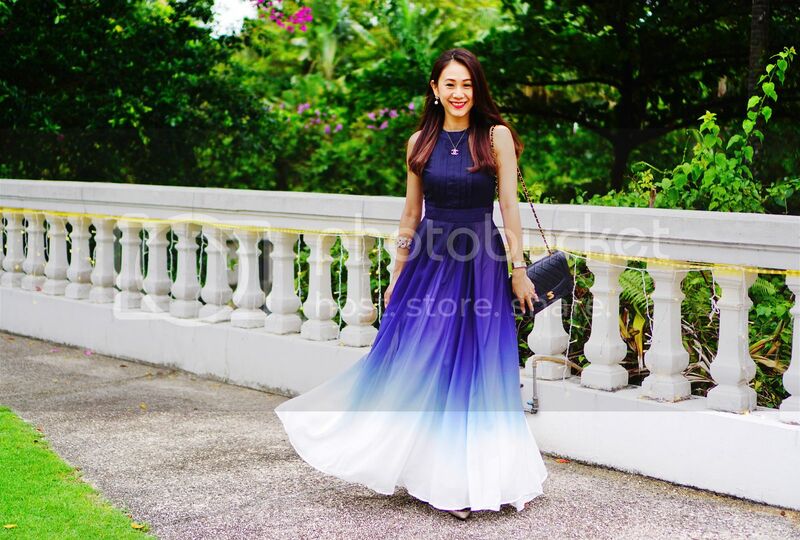 For direct bookings please call 6831 4374! 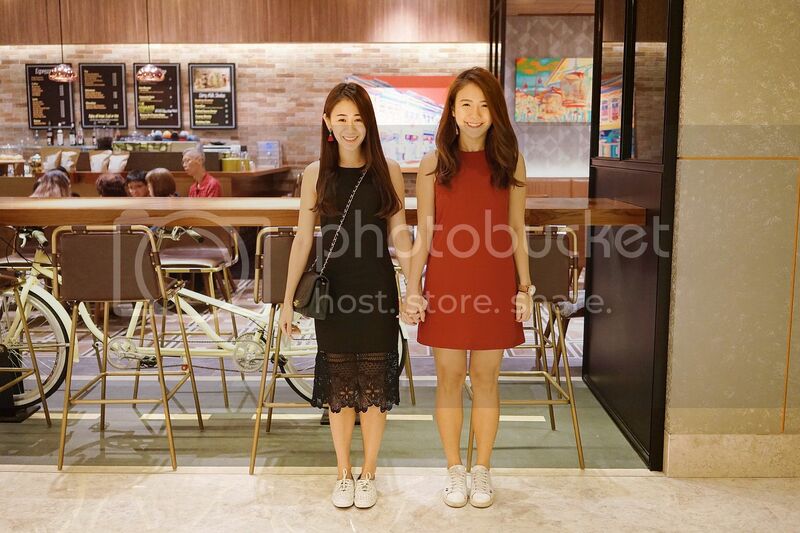 Before we called it a night, we took some photos at the photo worthy lobby!